Dr. Khaled Abou El Fadl is one of the world’s leading authorities on Shari'ah, Islamic law and Islam, and a prominent scholar in the field of human rights. He is the Omar and Azmeralda Alfi Distinguished Professor of Law at the UCLA School of Law where he teaches International Human Rights; Islamic Jurisprudence; Law and Terrorism; Islam and Human Rights; Political Asylum and Refugee Law; The Trafficking of Human Beings: Law and Policy; and Political Crimes and Legal Systems. He was also formerly the Chair of the Islamic Studies Interdepartmental Program at UCLA. A prolific scholar and prominent public intellectual, Dr. Abou El Fadl is the author of numerous books and articles on various topics in Islam and Islamic law. He has lectured on and taught Islamic law throughout the United States and Europe in academic and non-academic environments for over twenty years. His work has been translated into numerous languages including Arabic, Persian, French, Norwegian, Dutch, Ethiopian, Russian, Vietnamese and Japanese, among others. 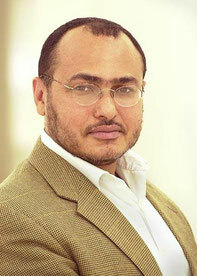 Dr. Abou El Fadl is most noted for his scholarly approach to Islam from a moral point of view. He writes extensively on universal themes of humanity, morality, human rights, justice, and mercy, and is well known for his writings on beauty as a core moral value of Islam. He is one of the foremost critics of puritan and Wahhabi Islam. Dr. Abou El Fadl has appeared on most major national and international media channels, and has published widely in such publications as the New York Times, Washington Post, Wall Street Journal, Los Angeles Times, Al-Jazeera English, Huffington Post, Boston Review and many others. His latest book is entitled, “Reasoning with God: Reclaiming Shari'ah in the Modern Age,” considered to be his magnum opus and intellectual autobiography. His other books include: The Great Theft: Wrestling Islam from the Extremists; Speaking in God’s Name: Islamic Law, Authority and Women; Rebellion and Violence in Islamic Law; And God Knows the Soldiers: The Authoritative and Authoritarian in Islamic Discourses; Islam and the Challenge of Democracy; The Place of Tolerance in Islam; and The Search for Beauty in Islam: A Conference of the Books. His book, The Great Theft, was the first work to delineate the key differences between moderate and extremist Muslims, and was named one of the Top 100 Books of the year by Canada’s Globe and Mail (Canada’s leading national newspaper). 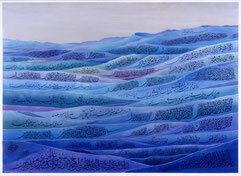 His book, The Search for Beauty in Islam: A Conference of the Books, is a landmark work in modern Muslim literature. Dr. Abou El Fadl holds a B.A. in Political Science from Yale University, a J.D. from the University of Pennsylvania Law School, and an M.A. and Ph.D. in Islamic law from Princeton University. Dr. Abou El Fadl is also an Islamic jurist and scholar, having received 13 years of systematic instruction in Islamic jurisprudence, grammar and eloquence in Egypt and Kuwait. After law school, he clerked for Arizona Supreme Court Justice James Moeller, and practiced immigration and investment law in the U.S. and the Middle East. He previously taught Islamic law at the University of Texas at Austin Law School, Yale Law School and Princeton University.